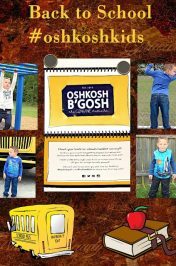 As a Mom of a 5-year-old boy that’s always on the move and has a quirky personality, I am always looking for clothing that will get my son’s approval and that will be comfortable for him to wear all day. 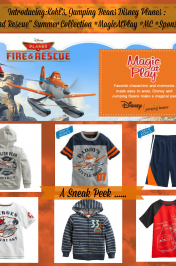 When I was contacted by LAYOP to see if I would be interested in reviewing a few pieces from their new kids clothing line for exchange for my honest opinion with my son, I was excited to browse through their website to learn more about the clothing they offer. Before we received the shirts in the mail from LAYOP my son and I looked at the shirts on their website. 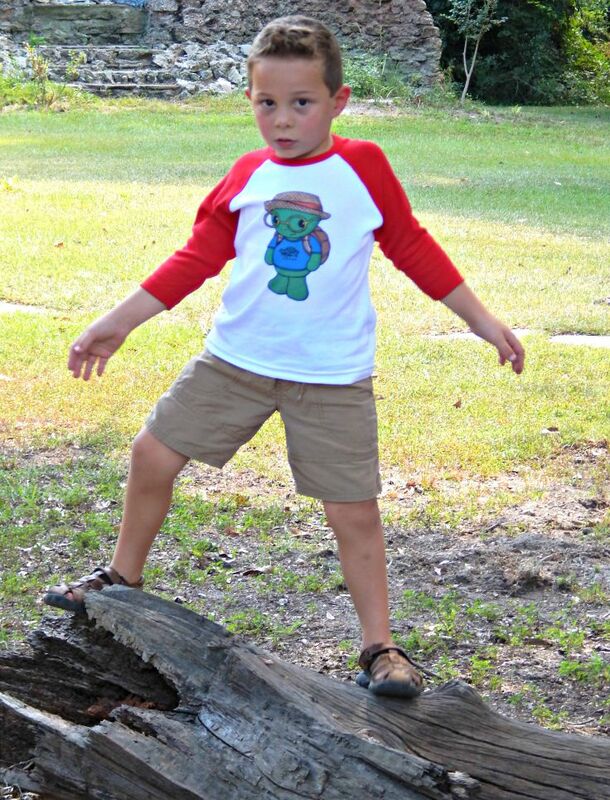 My son loved learning about each of the Characters from the LAYOP Kids Clothing line especially about Lionel and Remy. My son was happy to find out Lionel was adventurous and enjoyed exploring his neighborhood. He thought Lionel reminded him of himself a bit. He couldn’t wait to receive his shirts in the mail. 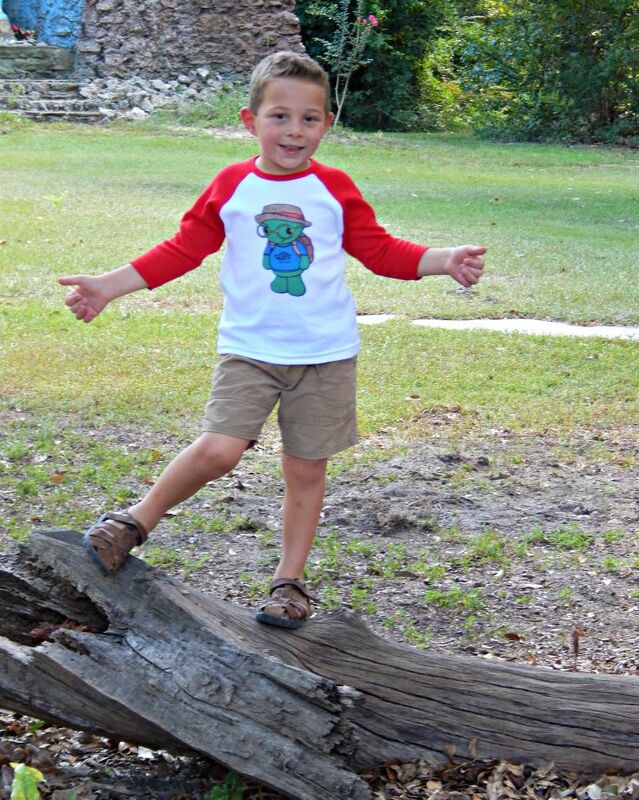 When we received the LAYOP kids clothing in the mail my son hurried up and put on the red and white raglan Lionel shirt first. We headed out the door for a hike and brought along his other shirt he received, too. My son couldn’t wait to start exploring wearing his new clothing. 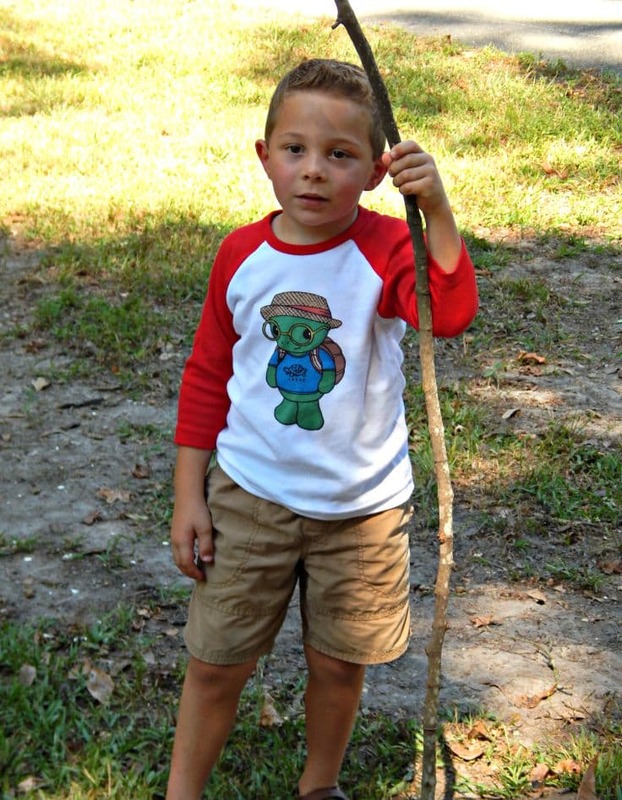 After my son ran around the woods for a while he decided it was time to change into the short sleeve shirt he received from LAYOP. Unlike Remy my son doesn’t like sports but he does love to run like Remy. As soon as he changed shirts my son was off again running around the woods. I don’t think the hand signs mean anything, just my son being silly and having fun. My son did blurt out while he was running around that both of the shirts were comfy to wear. 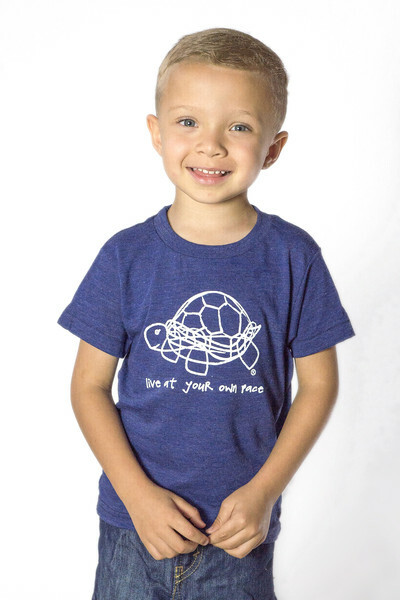 Here’s what we think about the shirts from the Live At Your Own Pace (LAYOP) kids clothing line. 1. 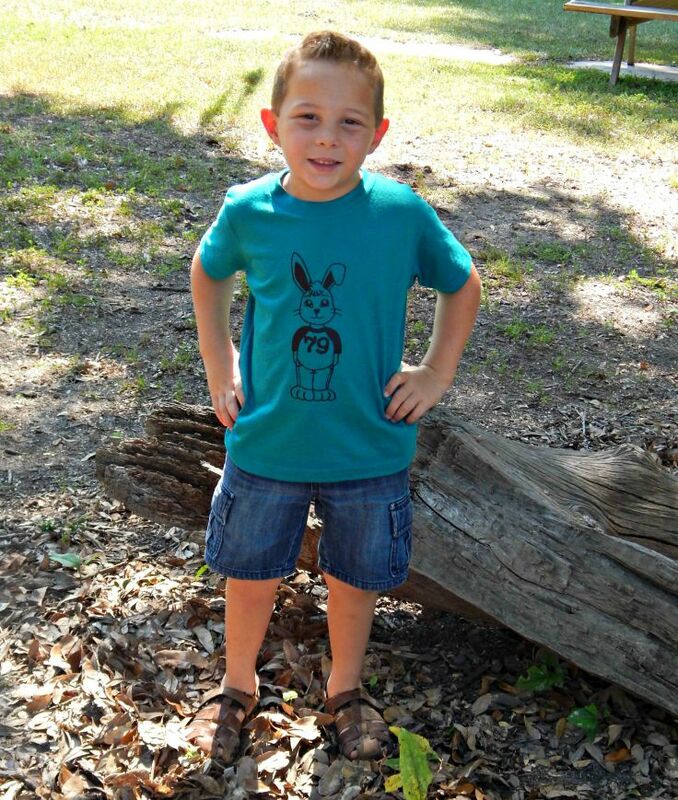 Both the Lionel Turtle shirt and the Remy Rabbit shirt are adorable. I love the characters and their stories. I like that the shirts look cute on my son and not babyish. It’s hard to find shirts for young boys with prints on the front that doesn’t look too mature. 2. 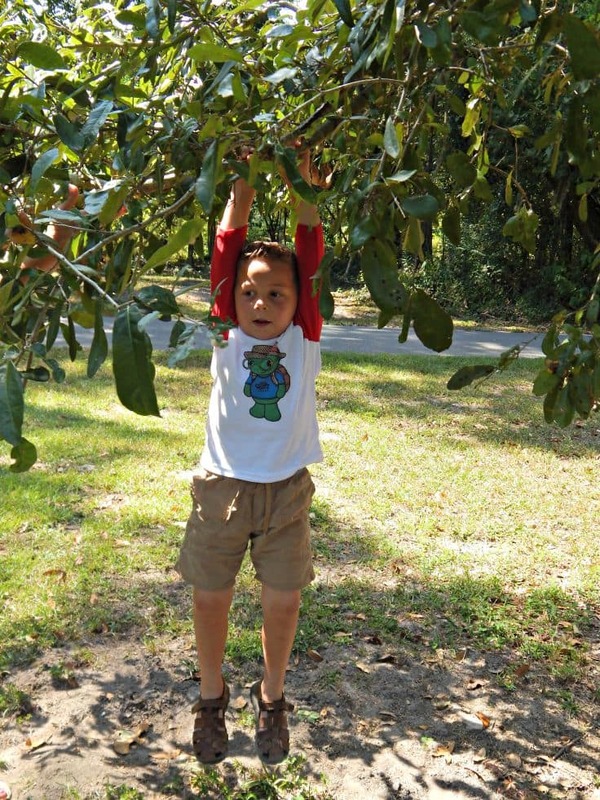 My son loves that the shirts are soft and comfortable to wear all day. 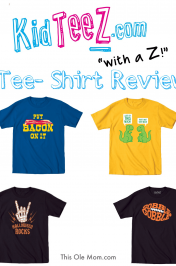 He can wear these shirts to school or to wear for play. 3. We both love that the shirts are tag-less which means my son doesn’t have to worry about a tag rubbing against his neck. 4. I love the way the shirts fit my son, both of the shirts run true to size. My son wears a 5/6 and the shirts he’s wearing from LAYOP kids are a size 6T. I do think the shirts are cute and stylish but I would suggest that you hand wash the shirts 3-4 times before washing in the washer machine, I would also suggest once you have hand washed the shirts a few times to wash the red and white raglan shirt by itself in the washer machine. When I washed the red and white shirt in the washer the red bleed onto the white . The red dye did come off of the shirt after three washes. 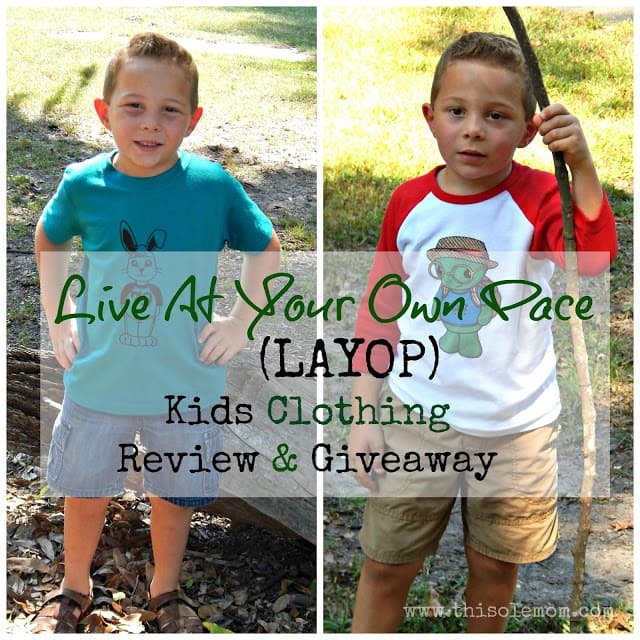 I do recommend you checking out Live At Your Own Pace (LAYOP ) clothing for kids. Even though I think you should hand wash the shirts a few times these shirts are really cute, soft, and well made. 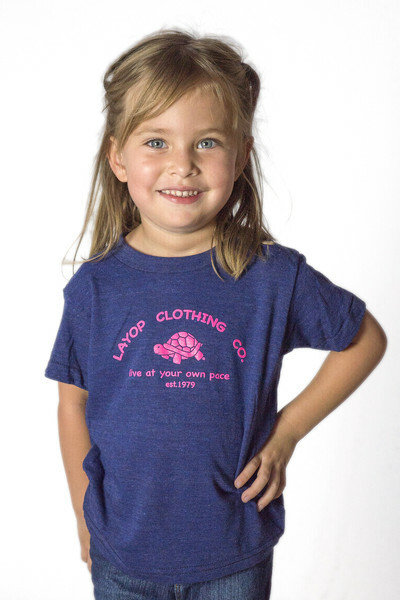 LAYOP kids clothing is made in the USA. You can learn more about Live At Your Own Pace (LAYOP) Kids and all the LAYOP Characters here . 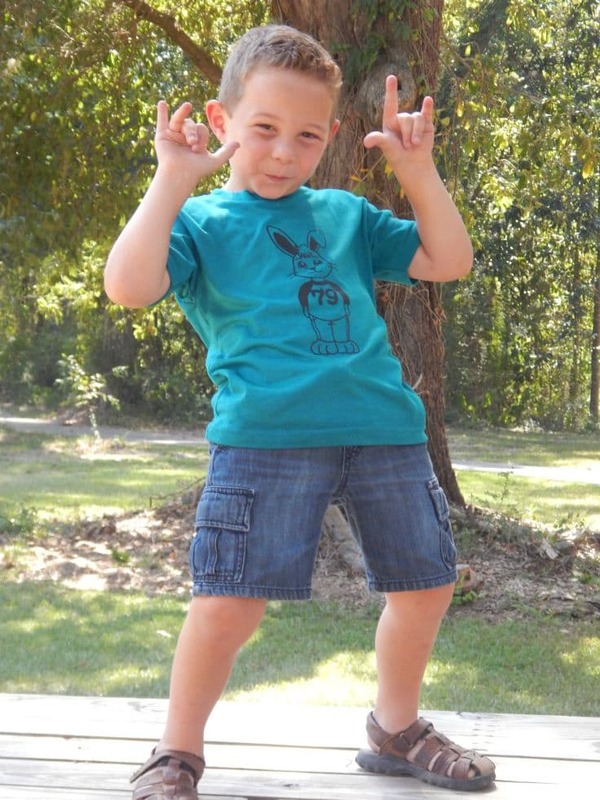 LAYOP kids clothing comes in sizes 6 months to 6T. Connect with LAYOP Kids on facebook and Instagram . Also right now , This Ole Mom, readers can save 15 % off of any purchase at LAYOP.com with the coupon code Kim . And one (1) lucky winner has a chance to win either a boys or a girls LAYOP kids shirt value $25. The winner can choose the size. Enter the giveaway below. Note- LAYOP Kids is responsible for mailing the winner their prize. Must be at least 18+ and US resident to enter. 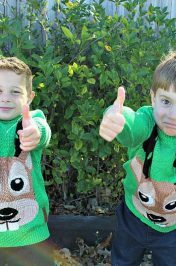 Disclaimer: I was sent two (2) kids LAYOP shirts free for exchange for my honest review of their clothing. My review is honest and all opioins are my own or thoughts from my little boy. See my disclosure here. I'd love to win one for my boy. My son would love the red & white turtle shirt! great stuff. but I can't enter, not a US resident. What a super cute line of clothing!! I love that turtle!! I'll take either! I have a nephew and a niece I'd love to give one to! I entered for the giveaway. It not letting me comment on the giveaway though. I hope I win some girl's clothing. So cute! Going to enter now! Such a cute boy you have!!! Love the shirts! Thanks for the giveaway!! !